Tokyo, Japan is one of the most popular travel destinations in the world and Paramount Business Jets is here to ensure that your trip to this world famous city is exactly how you envision it. Whether traveling domestically or internationally, PBJ is the ultimate executive air charter solution, providing you with over 15,000 available business jets to pick and choose from. With this expansive selection, you are sure to find the optimal aircraft for your purposes. And if you aren't quite sure which exact model is the perfect one for you, Paramount travel specialists are here to help! There are nine individual airports within 50 miles of Tokyo. The closest and most straightforward airport choices are the Tokyo International Airport (HND), the Iruma Airport (RJTJ), the Shimofusa Airport (RJTL), the Yokota Air Base Airport (OKO), and the Kastner Aaf Airport (RJTR), each of which are just 21 miles or less from the downtown area of Tokyo. 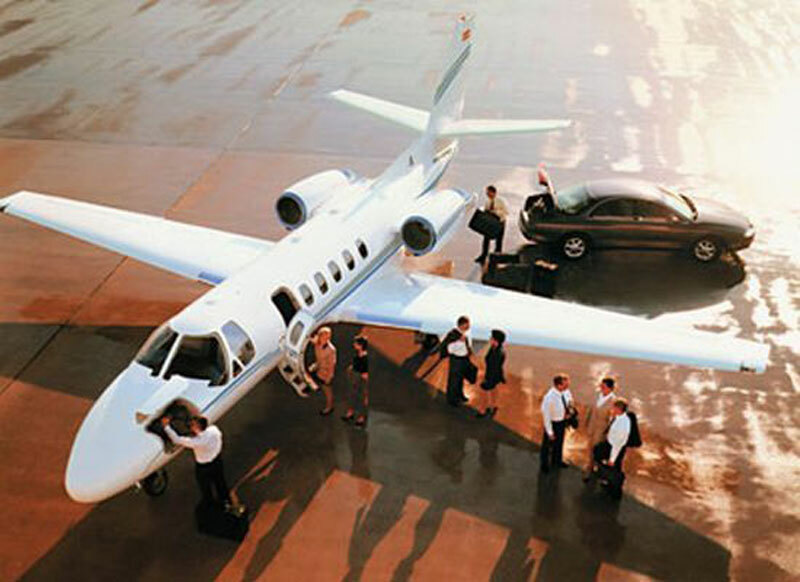 The most popular category of aircraft in the area is light jets (Citation V), but we also offer access to midsize jets, large jets, and tons of other specialty aircraft. For more information on available models, booking, or rates, please call us today at +1-877-727-2538. Tokyo is the capital of Japan, situated in the southeastern part of the island of Honshu on Tokyo Bay, an inlet of the Pacific Ocean. The largest city in Japan, Tokyo is the administrative, financial, industrial, cultural, and educational center of the country. Being one of the three financial command centers of the world along with New York City and London, Tokyo plays an important role in the global economy. Tokyo, with its early appealing history and strong traditional heritage, has attracted both business and leisure travelers from all over the world. The cosmopolitan city of Tokyo is filled with historic monuments, excellent museums, old temples, traditional wooden houses, fantastic parks, and beautiful gardens. Tokyo is well known for being home to the Imperial Palace and home of the Imperial Family. Popular tourist attractions in Tokyo include the Tokyo National Museum, Tokyo Metropolitan Government Buildings, Akasaka Palace, Meiji Shrine, Sensoji Temple, Hayashi Memorial Hall, Buddha Statue Kamakura, Gokuku-ji Temple, Hachiko Statue, and Kabuki Theatre. There are lots of green parks around the city including Nogawa Park, Nakagawa Park, Naganuma Park, Higashi Shirahige Park, Imperial Park East Gardens, Higashimurayama Chuo Park, and Ryonan Park. Tokyo has many exciting festivals and events being held throughout the year like Asakusa Samba Carnival, Buddhist Obon Festival, Bunkyo Tsutsuji Matsuri, Fuji Matsuri , Fukagawa Hachiman Matsuri, Fukuro Festival, Hinode Matsuri, Kagurazaka Awa Festival, Tokyo Jidai Matsuri, and many others. With its dazzling skyscrapers, stylish stores, luxury boutiques, countless bars and night clubs, and the use of highly modern technology, Tokyo is one of the busiest cities in the world, visited by millions of tourists every year.